This page contains odds and ends of my interests, things that don't fit on the other pages. It is intended for novices like myself and will hold little interest for experts on sugar cane or mills. A free-ranging narrative and series of photographs document month-by-month growth of sugar cane in North Florida. Four-foot-long segments of three cane varieties are extracted sequentially in this 1-min silent movie clip. The varieties are Georgia Red (courtesy of Don Dean), Ole Timey Green (again, courtesy of Don Dean), and C.P. 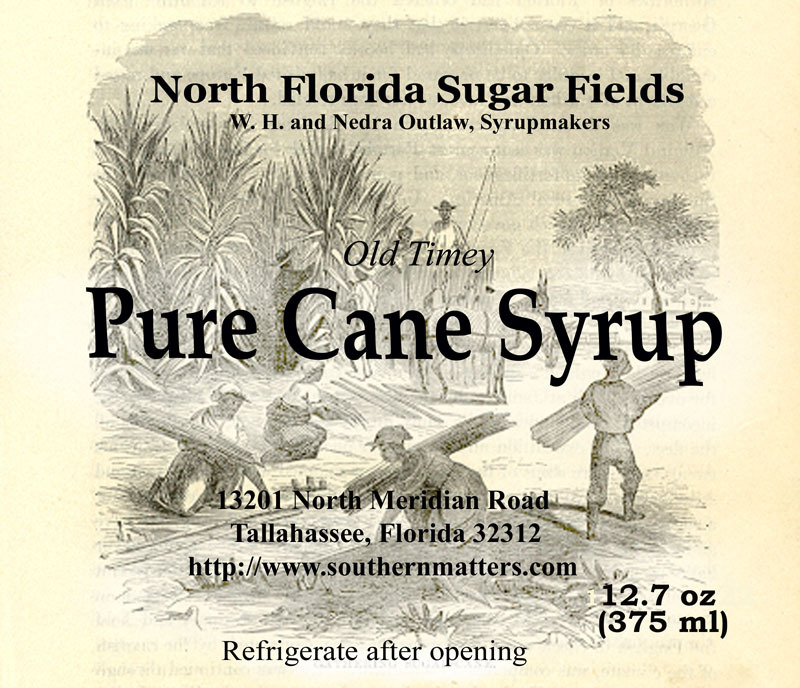 52-48 (a very hard syrup cane that performs well in S.W. Georgia), respectively. The mill is a mechanized Goldens' No. 2 (New Model) set for about 50% extraction. The files are 3.5 MB so the modem user may wish to occupy him- or herself otherwise during the download. The clock in the background is my memento from the laboratory of Florida State biophysicist Hans Gaffron (1902-1979), a pioneer in photosynthesis. Various pieces of equipment used to grow cane or process syrup are shown on this page. Click here for an example of planning and applications for the construction of a small syrup-processing shed in Leon County, Florida. Click here for an example of a day's syrupmaking.